New Web page with e-commerce solution for small knitwear label from Berlin uweurbansky.de. Realised with one of the gorgeous themes by Elmastudio and Woo Commerce as a shop system. Uwe Urbansky is a small knitwear label from Berlin, all products are handmade in Berlin. The Page is mobile first, SEO optimized, and has a SSL certificate. A very simple email hack. 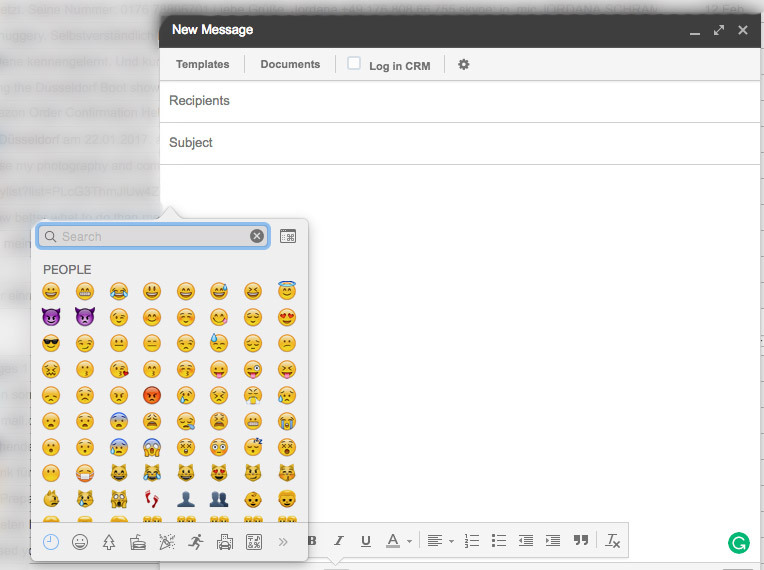 If you ever asked yourself how to add Smileys or Emojis in Emails – there is a shortcut. The cute little hack is a simple key combination on a Mac: Press Ctrl + Cmd + Spacebar and a Pop Up Window with all possible Emojis opens. Yet another clean and timeless website. As mentioned here, websites are going to be more simple again. Freelance writer and editor Anna Pasdzierny wanted a website with a modern and clean look, which she could easily update herself. She was also looking for a Grid Layout for the Front and Landing page where all her work is presented.